Our client is looking for a Digital Marketing Manager (DMM) who will be responsible for promoting the sales of the company' s services and products that will benefit the company and customer, establish credibility through communication in a manner that will optimize the company' s market share, improve the advertising efficiency. This person will be responsible for developing digital marketing content. Partner with the Director of Marketing and the Marketing Team to create and execute consumer-facing content calendar, and trade facing content calendar. Partner with the Director of Marketing to assist in marketing strategy including message development to the consumer, consumer communication, communication channel-specific content based on data-driven evidence, and digital brand performance. Manage the branded WordPress websites, and act as webmaster. Manage all inbound customer inquiries from all Web presences. Manage Social Media profiles and pages of the Company. Create content to be used on Web & Social. Create and execute Consumer & Trade Communication across digital channels. Partner with the Director of Marketing to coordinate reach analysis on branded content programs. Accountable for all Digital Company Communication within the brand. Partner with external agencies and coordinate digital agency activity. Bachelor' s degree in Sales, Marketing or Business. Preferred experience with photography and videography execution. Demonstrated in-depth sales and marketing techniques and financial principles. Ability to communicate orally or in written form effectively with co-management, internal and external customers. Demonstrated ability to anticipate and solve problems or resolve issues. Financial and budget management knowledge and skills. Experience working with marketing and advertising firms. Strong understanding of traditional and emerging marketing channels. Ability to travel up to 10 days per year. Courtney has worked in the recruitment industry since 2013 and is currently the director of marketing recruitment. 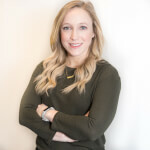 She specializes in placing candidates within e-commerce, digital marketing, analytics, CRM, loyalty marketing, and sales/account management positions across various industries nationwide. By working to develop close relationships, she is able to effectively match the right candidates with the right clients, and as a valued resource to both parties throughout the process. Her favorite thing about recruiting is hearing how candidates have found success and career growth within their new companies. Before recruiting, she worked in digital marketing, specializing in search engine marketing. She holds an MBA from Canisius College and a bachelor’s degree from Niagara University, where she also played Division 1 soccer.